Be a Hero in 2018! 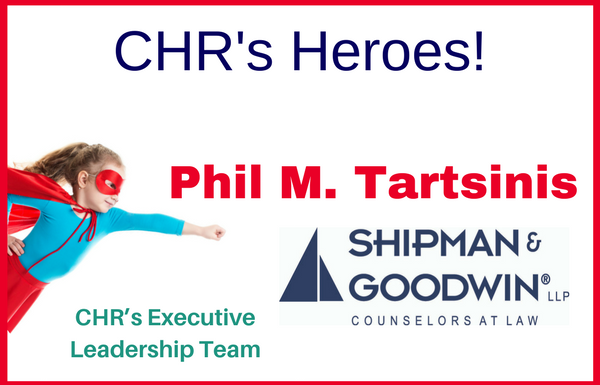 Developer Phil M. Tartsinis and the law firm of Shipman & Goodwin, LLP., are the first two donors to support CHR at the new “Be a Hero” level for 2018. The announcement was made during CHR’s 10th Annual Golf and Tennis Outing on Sept. 25. CHR, the state’s most comprehensive non-profit behavioral healthcare agency, is looking for more heroes to follow Tartsinis and Shipman & Goodwin.